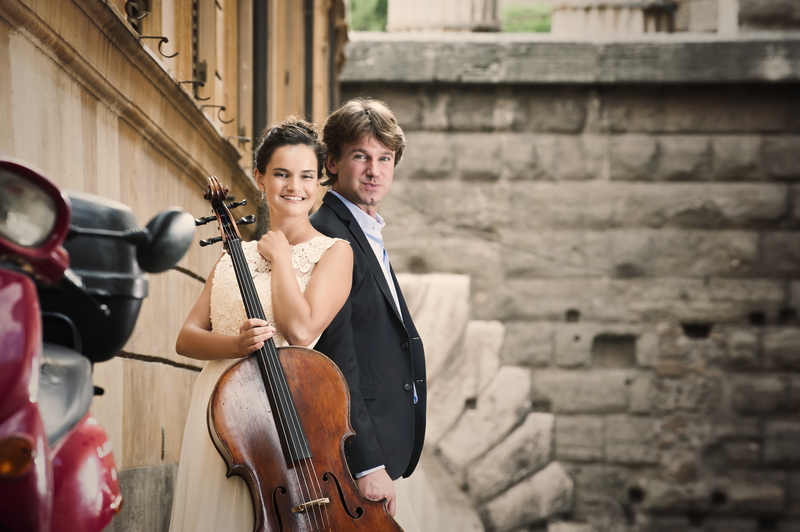 “I was so impressed listening to the Gromes Riem Duo performing the Debussy Sonata at a master class in Munich recently. Admittedly it is not a natural setting for performance, yet the duo played with great aplomb. But what impressed me most was the obvious wish to communicate the content to their public. Her first recordings that were taken with her longtime piano partner Julian Riem, were released by Farao Music in 2014. Since 2016 she is one of SONY Classical exclusive artists. In September 2017 her first SONY-CD with the works of the late Romantic composers Giuseppe Martucci, Leone Sinigaglia, Ferrucio Busoni and Mario Castelnuovo, that she recorded with her partner Julian Riem, will be released. Julian Riem, native of Munich, Germany, studied with Michael Schäfer at the Hochschule für Musik und Theater in Munich and with Michel Béroff at the Conservatoire National Supérieur in Paris. He continued his studies with Rudolf Buchbinder at the Basel Music Academy, where he received a degree in solo performance with high honors. He is the winner of international piano competitions in Modena and Florence (Italy) as well as in Madrid (Spain) and was awarded a scholarship at the national German Music Competition. Julian Riem’s active concert schedule regularly takes him to Europe, Japan and the USA. He has appeared with such orchestras as the Basel Symphony Orchestra, the Southwest German Orchestra, the Württemberg Chamber Orchestra, the Munich Chamber Orchestra, the Munich Bach Soloists Orchestra and the Kurpfälzisch Chamber Orchestra. 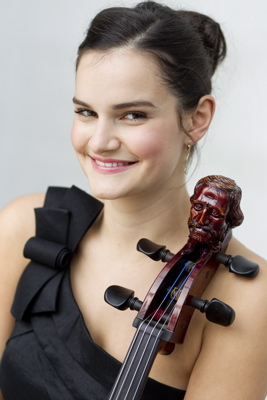 International festival performances include the “Festival Liszt-en-Provence”, Musica mundi in Brussels, the European Music Academy in Aix-en-Provence, the Sándor Vegh International Chamber Music Academy in Prague, the Rolf Liebermann Podium Hamburg, Les Muséiques in Basel, and the Munich Opera Festival as well as the Oleg Kagan- Festival, Schleswig-Holstein Musik Festival and the Rheingau Musikfestival.